Need a quick snack or appetizer? Try this Roasted Corn And Black Bean Salsa recipe. 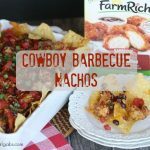 It makes a great appetizer for your next party or is a perfect topping for tacos. O.K., I am a day late and a dollar short for a Cinco de Mayo post. I took some time off from the blog while my family and I were enjoying some time together in Walt Disney World so I could attend the 2016 Disney Social Media Moms Celebration last week. My apologies, but I am here today to celebrate Cinco de Mayo a few days late. You know the saying, better late than never. I want to share with you this super easy Roasted Corn and Black Bean Salsa recipe. You guys…you are going to love how simple and delicious this recipe is. Did you ever have unexpected company or a last-minute invitation to a friends house and stumble at what to serve? Yep, I am sure it has happened to all of us at some point. Summer is around the corner and that means sweet corn will soon be in abundance. I am totally craving an ear of the fresh corn we grow here on our farm. Making this Roasted Corn and Black Bean Salsa is a great way to incorporate the farm fresh flavor of the sweet summer corn we all love. Combined with traditional Mexican ingredients like black beans, jalapeno or onions, this recipe can be thrown together in 15 minutes flat. If you decide not to roast the corn, we are talking a whole five minutes. Hello! That’s my kind of quick appetizer. Those that know me, know that I love snacks that are packed with flavor. I calculated that you will have four things to wash when making this recipe: a cutting board, a knife, a spoon and a bowl. Again, my kind of simple recipe. Double props for this recipe too because it is all mixed in one bowl! The summer entertaining season is just around the corner. Be sure to serve this for your next summer gathering. Simple ingredients, bold flavors, and little work equals one delicious appetizer your guests will LOVE! To roast frozen corn, heat oven to 450 degrees. Spread corn on a sheet pan and roast in oven for 10 minutes. To roast whole fresh corn, place cleaned corn on a medium-heat grill for 5 minutes, turning so each side is slighted charred. Once finish grilling, cut corn off the cob and place in a medium bowl. Add corn to a medium bowl. Add beans, peppers, onion, garlic, cilantro, lime juice, oil and salt. Toss together and serve with tortilla chips.